It’s become an annual event: the fall of Bitcoin. You’ve probably read about it multiple times, and maybe even believe that the online, decentralized currency is already gone forever. Created by a mysterious, anonymous entity back in 2009 – when the recession was at its worst – Bitcoin is a completely digital currency with no central servers. Transactions are distributed across the network of users, and developers claim counterfeiting to be impossible. Anyone who wishes can mine Bitcoins guiminer - An Extensive Tool For Bitcoin Mining guiminer - An Extensive Tool For Bitcoin Mining As of late there's been a been a great buzz going around about Bitcoin, the latest P2P digital currency. One of the main activities of getting Bitcoins is through a process called mining. No need... Read More by putting their computer to work solving complex math problems, but the total number of Bitcoins that can be created is capped. The currency is designed to increase in value as demand for Bitcoins go up, and it has – occasionally too quickly to be sustainable. By the summer of 2011, for example, one Bitcoin was worth as much as $30 USD. Within weeks it fell as low as $5 – just one incident the media has called the death of Bitcoin. These spikes and drops – accelerated by speculators – haven’t stopped Bitcoin’s value from rising over time. Outliers aside, the currency’s been trending upwards since it’s creation in 2009. While I’m writing this a single Bitcoin is worth over $48 USD – the most it’s ever been worth. This just days after a glitch temporarily brought the price down to $37. 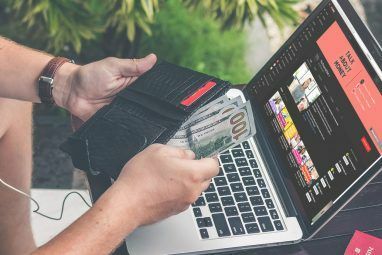 It’s unclear whether the current value will hold, but major online companies – including Reddit and WordPress – are starting to accept the currency, increasing its legitimacy. Around the world organizations shut out by traditional merchant processors – Wikileaks, lulzsec and the creator of a 3D printable gun, for example – are turning to the digital currency for donations. And online casinos based entirely around Bitcoin are bringing in serious revenue. A vibrant community of developers, users and enthusiasts surround Bitcoin, and more than a few exchanges around the world allow anyone to trade a conventional currency for the digital one. So yeah: Bitcoin’s not dead. A Revolution, Or A Business Opportunity? I was looking for someone to explain the basics of the currency to me, so I emailed the Bitcoin “press” mailing list. Two people responded: Jon Holmquist and Amir Taaki. Both see Bitcoin as a tool, but they differ greatly as to what that tool is for. Holmquist sees an effective tool for commerce; Taaki, for revolution. The UK-based Taaki is a lot of things – an activist recently arrested for squatting in London, the pioneer of multiple open source projects, a video game developer. He’s even a former professional online poker player. Right now he’s organizing UnSystem, a Bitcoin conference in Vienna he says will bring together “anarchists, hackers, squatters and subversives.” He speaks of the conference, Bitcoin, and the world in far-sweeping terms. When I ask how Bitcoin differs from cash, he responses with a list of things cash cannot do. Jon Holmquist, meanwhile, sees Bitcoin primarily as a tool for business. The California man makes his entire living working with Bitcoin-based online retailers. To Holmquist Bitcoin is a game-changing technology for anyone who runs a business online. Direct payment means little or no processing fees – something any business owner can appreciate. “A lot of places offer discounts for cash, even though that’s not allowed by their credit card licensing agreement,” he points out. 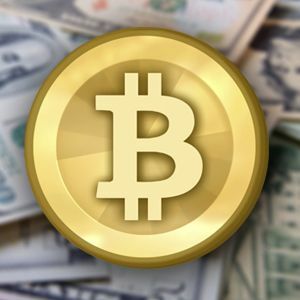 Bitcoin brings the advantages of cash to the online world, by eliminating the need for merchant processing services like PayPal. Holmquist runs a few retailers that use Bitcoin, including BitcoinStore.com – which sells electronics – and Coinabul.com – which allows you to trade your Bitcoins for gold. Taaki, meanwhile, tells me that to him Bitcoin is not a business opportunity: it’s a technology that helps people evade control. He tells me Bitcoin alone can’t change the world – that “you need the whole prescription to be taken holistically.” But Bitcoin, in his view, can help keep the Internet free. Taaki hopes his conference – which includes speakers like Cody Wilson, the man behind the 3-D printable gun, and Richard Stallman, the father of the open source movement – will show the possibilities of Bitcoin to a broader coalition of activists. It’s easy to think of major currencies as having always existed, as something that always will exist. The truth is that currencies are created by people, and also occasionally disappear. The world’s current foremost currency – the US dollar as we know it – came into existence as recently as 1864, when President Lincoln signed the National Banking Act. Through much of the early 1800’s, state charted banks issued bank notes, meaning travelers from New York had to exchange their money before they could use it in nearby Connecticut. The European Union, of course, created a currency in 1999: the Euro. As with the US dollar, it replaced the local currencies of a large geographical area. Euro-skeptics predict that currency will break up, but it wouldn’t be the first currency union in Europe to do so. The Austrian-Hungarian Empire shared a currency until the First World War – the Krone. After the war the Krone broke into several other currencies, along with the empire itself. When the Soviet Union fell in 1991 a variety of replacement currencies popped up to replace the Ruble. It sounds absurd that programmers can create a bit of code that has value – code that can act as money. But every currency is created at some point. “We have proposed a system for electronic transactions without relying on trust,” wrote Satoshi Nakamoto in a 2009 research paper. Markets around the world were crashing at the time, but it’s not clear whether that was the primary motivation for Bitcoin’s release. His code did speak, growing from a Windows-only program compiled in Visual Studio to the cross platform network it is today. It’s unclear even now who Nakamoto is – an individual person or a group of people. At one point he claimed to be a Japanese male, but the first release of Bitcoin was not documented or labeled in the Japanese language. Some argue Nakamoto is American because of his spelling; others say he is British because of his formatting. The truth is no one knows Nakamoto’s identity – or whether he is an individual or an entire group of people. His/her/their involvement in Bitcoin stopped completely in mid-2010: according to Wikipedia, he told a contributor he’s “moved on to other things”. Today Nakamoto – who or whatever he was – is seen as the creator of Bitcoin. The smallest unit of Bitcoins (one hundred-millionth of a Bitcoin) is named a “satoshi” in his honor. I ask Holmquist how he would explain to his grandmother how Bitcoin works. He started with a history lesson. “There was an ancient civilization that, for currency, used giant stone wheels,” he tells me, referring to Rai Stones, used on the Micronesian island of Yap. Mined from nearby Palau – an island where the currency was not used – these giant coins could weigh as much as 4 metric tons. Made of Limestone – which was rare on Yap – these stones were used in social transactions such as marriage or political deals. Their value was based on the idea of ownership – sometimes regardless of where the physical stone itself was. The culture used something they couldn’t see or touch – a stone wheel on the ocean floor – as currency. It worked because everyone in the community knew who owned it, Holmquist tells me. “It was a small tribe, everyone knew who owned what,” he says. Bitcoin works the same way, according to Holmquist: the peer to peer network means every computer connected to the online community helps keep track of every transaction. Every Bitcoin is a complex, unique string of code, but that’s not what makes it impossible to counterfeit: you could copy and paste a Bitcoin wallet easily enough. No, it’s the fact that every exchange is known across the network – to use Holmquist’s metaphor: the fact that everyone in the village knows who owns which stone wheels – that makes each Bitcoin secure. 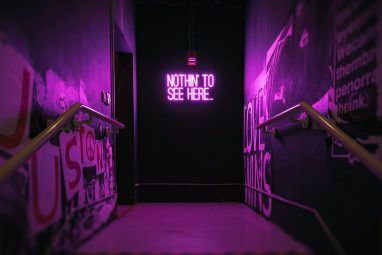 Because this system broadcasts every exchange across the network – and because most people don’t want all of their financial activity to be publicly trackable – Bitcoin transactions are anonymous. “You don’t want your name tied to a public bank account,” says Holmquist, explaining that one famous property of Bitcoin –anonymity – is less a core feature and more a result of this transparency: if everyone’s transactions are going to be shared across the network, making those transactions anonymous is the only way the system can provide privacy for users. There are down sides to the system, Holmquist says: security is almost entirely up to the end user, and there’s no safety net for users in case of fraud. But even this lack of security brings benefits, says Holmquist. “There’s no charge-backs, so stores using Bitcoins can charge ridiculously low prices,” says Holmquist. Charge-backs occur when a consumer calls a credit card company to report fraud – the credit card company returns the money before working out the fraud themselves. Bitcoin, lacking a central structure, offers no such system. The original Bitcoin client stores your currency on your hard drive – so without backups, your Bitcoins could disappear completely if your drive fails. It’s not known how many Bitcoins have already disappeared this way, but it’s for this reason a number of web-based Bitcoin clients have entered the market – consumers can use them to store their Bitcoins online. Right now it’s up to the user to determine who is and isn’t trustworthy. And there’s no reason such a service can’t exist. After all: Bitcoin is simply a currency. If people want to trust a third-party service to handle transactions with it, they can. “There’s demand, there’s scarcity, it’s everything that cash or commodities need to be used as currency,” says Holmquist. If you’re reading this odds are you have some money in your wallet, right now. Have you ever thought about why it’s worth anything? Probably not. Go ahead and grab a bill; I’ll wait. Depending on where you are in the world it might be green, red or any number of colours. It might be made of paper or plastic; it might be transparent in places. It might feature dead presidents ($USD) or living monarchs (£); hypothetical [EZ1] architecture (€) or kids playing pond hockey ($CAD). But one thing is certain: there is a number on that bill, letting you know how much it’s worth. Why does that work? Why does printing a number on a bill give it value? 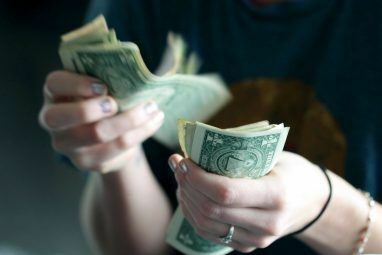 The object itself certainly isn’t worth as much as that number – $20 bills are made of the same stuff as $100 ones, and the material to make a bill almost always costs less than $1. No, the number on the bill is what gives it value, and it retains that value because people agree that it’s worth something. It’s all about belief. Money is like the fairies in Peter Pan: if enough people say they don’t believe, it dies. It sounds like magical thinking, but if everyone decided at once that a $100 bill wasn’t worth anything, it wouldn’t be. This isn’t hypothetical: it happened in Germany in the 1920s, and it happened in Zimbabwe just last decade [EZ2]. Zimbabwe’s dollar no longer exists. The African nation now uses various currencies – the US dollar, the Euro and the South African Rand, to name a few – because of inflation. Put simply: political turmoil caused people there to lose faith in the currency, which caused the currency to be worth less, which prompted the country to print more money – a cycle that continued until things got really crazy. Before the end Zimbabwe was literally printing bills claiming to be worth one hundred trillion dollars – and people still had trouble buying things. So money is nothing more than numbers that represent value, and those numbers have value because people believe they do. Most of your money probably isn’t in your wallet – it’s in a bank. Your bank doesn’t have a vault with “your” money in it – it’s why you can deposit money in one branch and withdraw from another. And your bank almost certainly doesn’t have enough physical cash on hand for everyone who uses it to withdraw at once. When you deposit, then, your money ceases to have any physical form and becomes a number living in your bank’s database. It becomes, in a word, code. But if you’re like most people you’re not paid in cash – you’re paid with a check, or by direct deposit. In either case your money never really takes physical form at all – it’s just a number that moves from one bank to another. From one database to another. So most money is just numbers in a database – just code. And it’s only worth anything because people believe it’s worth something. There are good reasons for this belief. Most countries have laws ensuring that money deposited in the bank belongs to you, even if the bank goes bankrupt. If the bank can’t give you your money the government will. At one point – before 1971 – US currency could be traded for gold. It’s why Fort Knox was so well stocked with the stuff: the ability to trade dollars for gold is what gave it value. In 1971 President Nixon – responding to nations around the world trading their US reserves for gold – dropped the gold standard. So currency is no longer backed by gold, and most currency today is only code. Hypothetically, then, anyone could make up a bit of code and assign it value. If people believed that code was worth something – and the system of exchanging that code was secure – that code would actually have value. But this doesn’t have to be hypothetical, because Bitcoin exists – and people already believe it’s worth something. Head to BitcoinCharts.com – which shows you the prices offered for Bitcoins at various exchanges – and you can explore the consequences of this belief for yourself. As of early March 2013 the currency is rising at an unprecedented rate, a bump subsequent to major sites like Reddit and WordPress beginning to accept the currency. Taaki, for his part, has other things in mind: a changed world, where people don’t need to have jobs and corporate structures don’t need to exist. Not everyone involved with Bitcoin agrees with comments like this – it’s part of the reason why there are two different Bitcoin conferences this year. The Bitcoin Foundation’s conference, in May, will focus on the currency itself – Taaki’s will reach beyond the currency, to activists only marginally involved with Bitcoin. Taaki and Holmquist have different worldviews, and a different future in mind. But their combined effort – along with that of many others – makes Bitcoin what it is today. Is another crash coming? Possibly. But if you read that Bitcoin has died try to remember: it’s not the first time someone said that happened, and it probably won’t be the last. Explore more about: Bitcoin, Business Technology, MakeUseOf Features, Money Management. The problem with Bitcoin is that it is not standardized. Checking with BitcoinCharts.com I am quoted three different prices for bitcoins in my area, $160, $191 and $215. I sure would hate to be paid with bitcoins worth $160 and have to purchase goods with bitcoins that the merchant says are worth $215, or even $191. In all currency transactions there is a spread between the bid and the ask prices and that is where the exchanges make their money. But a spread of 20%-33% is ridiculous. Suppose I'm your average college student wating to have extra money. Is mining for BitCoin worth it? I'm told that it won't work if you don't join mining group. And where should I create my BitCoin account to keep track of my possession? If you can afford ASIC mining. Bitcoin may be around for quite some time, judging from the increase in its usage. Although it is self-regulated (or non-regulated, depending on your point of view), there is a need to know more about this. Thanks for adding another bit to the growing body of bitcoin knowledge. Gleaning from other comments, I agree that there is a need for updating the information. I await the next MakeUseOf Bitcoin Manual Guide with anticipation. This is great currency. Many online shop now accept this as payment .. The problem with this or with any of these monetary schemes including the Financial empire we are on now is it won't work as long as the real backer of money is gone. The form of large scale projects that involve creative thinking for the future and future endeavors is the real wealth. Even gold and silver wouldn't back up any country that is not trying to progress with real wealth called the power of productive labor for the future. With out that this market anarchy scheme will eventually fail also just because the fact that speculation IS allowed makes this a failing scheme. We should go back to our original founding. The founding that Washington and Hamilton Set up. When that system was in service and presidents that followed that system is when there was the most progress and wealth. Don't fool yourself even if this system is not back by actual Power of productive creative labor(Machine tool labor) it will eventually die also and probably do the same thing thats going on with this system(wall street)now. Kill people in the long run. Of all comments, many good, Mike is the ONLY one who nails it. This country was prosperous because we "made" things. Innovations we had were designed by engineering teams, and skilled machinists who were sharp enough to fabricate what was needed, including modifications for increased efficiency of manufacture, function, and whatever else was required. Until the rich and controlling corporate and political criminals sold our machinery and technology to foreign partners, this country was doing fine. Now we are in serious trouble, and this downhill spiral will continue, as we don't have the machines or skills to get out of this mess. Media, owned by the big money, goes along with the scam, and the rich get richer, and the majority (as usual) loses. Its good to know their are other people that understand true "science driven physical economy" and that that is the true driver of an economy. Not "Money" No matter what form it is in. Wow, a very good overview of Bitcoin. It is so technical that I nearly fell asleep in parts. No offense to you, Justin! It is just hard for me to "get" this concept even with the example of explaining the system to your grandma. I am a grandma and this grandma doesn't understand. Of course, I get that this is an electronic form of "money" or digital exchange but beyond that? Stuck. Thanks for the article. I first heard about bitcoins when using SilkRoad, I think its cool to hear other companies like WordPress are accepting it. I'm doubtful that Bitcoin will ever be a useful online currency. It's an interesting idea, for sure, but for it to be useful it needs a much wider audience. As it stands it's not widely accepted, or used, and because of that it's no much more than a curiosity. It's not just an idea - it's an already working system. But it started from absolute zero, it's not a company with multimillion marketing budget but an initiative of the free people all over the world. It's an incredibly hard task to convince masses of people to suddenly start using something entirely new, so the growth advances at a fairly slow pace. Is this more sustainable and does it actually help anyone? The 'Local shop/friends cheque scheme' is still alive and well and is of benefit to those without money but with a sellable skill. This is by far a better system. Like any other currency this needs to be exchangeable for essential goods and services. If it isn't, what use is it? 1. we consume electrical energy while our GPU plays tic-tac-toe by itself. 2. as read on wiki, at one point, a "node" I am connected to, finds the winning hash ans it's rewarded certain amount of btc. 3. each participant receives a share of those btc? I think this is a waste of resources. Even if the energy comes from a renewable source. What, like printing money on paper? I carry cash as often as possible, to stay anonymous. As soon as we go cashless, that'll become illegal (as John Stossel says, "Everything is now illegal in America"). And then we'll all have problems as soon as the government, which now -- under the guise of Obamacare -- has access to all our bank accounts. You may find your USD bank account depleted overnight, and yourself left penniless, with no explanations. Just ask any Cypriot how close they came to that. When that happens, I suppose people will at least attempt to pay with bitcoins. So tell me, how do you buy food, shelter and heat with bitcoins? That is, how do you purchase the *physical* necessities from your *local* vendors with them? I've understood for a long time that my cash is only worth something because everyone *thinks* it is, and for no other reason (as its no longer gold-backed which, come to think of it, is only worth something because everyone agrees it is. Food and shelter, OTOH, are actually worth something. Period.) As soon as the USD crashes, there'll be social mayhem as people fight for survival (and Americans aren't who they were in 1930, so that's a terrifying prospect. Yeah. Moral relativism. Ain't it grand). Explain to me how, under those circumstances, which any reasonable person can see coming, bitcoins will be of any use? If you aren't eating, and have no shelter, I doubt you'll be paying for Internet access. And what if there's a major EMP event and you can't use any electronics, anyway? How, when push comes to shove, is anything but being able to offer REAL goods and services (fruits, vegetables, meats, carpentry, various types of manufacture and repair, etc) -- which most of us college-trained ingorami can't provide -- going to help us? How is an inaccessible, DIGITAL bitcoin going to help us? And if it can't, what's it worth, really? Where's the revolution here? As for gold and silver: 1) The government will make it illegal for you to own, just as it did in 1932. 2) If you try to spend it, you'd better have the weapons to protect yourselves from all the folks trying to steal it from you as they now realize you have it. A final warning. Read author Susan Posel's investigative reporting. She says some banks have already raided their clients's safety deposit boxes, shipping the contents off "by accident". When discovered, they say, "OMG! What a mistake! We'll get it back to you ASAP!" And of course they never do. So check your safety deposit boxes. Hmm. Grandma's mattress isn't sounding too bad. When/if the USD crashes, if you have a stock pile of Bitcoins you will have a lot of money and you can pay for the internet with Bitcoins. The only way Bitcoins will become worthless is if the internet shuts down or a new better Bitcoin like service come out. Interesting article. I'd never heard of Bitcoins before, so will have to read the other articles about it. Didn't quite understand how you get some? My PC does some computer math code and it makes it or do I buy it? But the history of it and how it works are there, so thanks for that info. You buy from exchanges like MT.Gox. It should give you a good start. The post is nice. Nothing stays forever. It was a well written article but I believe people are left thinking that it is just another Fiat currency and it isn't.Like the gold standar there is always a limit as to what its worth.That will fluctuate only through speculation by the normal crowd of business types as well as those who are afraid of their own paper currencies worth.There is an upper cap to the amount of bitcoins being created written into the algorithm and mining adds very little.Mining is requires a separate article of its own to fully explain it.As with a gold backed system if the units become priced to highly then they may be split.,as with pieces of eight that we are familiar with from early colonization of the new world. Bitcoins also attract people like myself who want protection of a part of their investments.Most responsible financial consultants advise at least 10% of savings be placed into precious metals.This does't offer growth necessarily but will help preserve capital in times of inflation or uncertainty of a Countries currency. Part of the article discusses the use of the coin in the black market.This is a problem in the paper market as well and illegal trading of goods has existed since the beginning of Governments enacting laws making some items illegal.I don't think this should detract from the worth of the bitcoin system. Part of the explanation for the rapid rises and falls from speculators can be attributed to the usual sources.I receive and review many financial news letter and they have all been highly recommending that clients make moves of some of their capital into bit coins.It makes for a rough market for the beginning of a new currency.After seeing what happened in Cyprus where a Government was allowed to tax depositors savings in order to save themselves form their own stupidity a bit coin will provide a margin of safety. Government keeps assuring us that all is welI but for those who think politicians sometimes are prone to exaggeration and outright fabrication of the truth I would really urge everyone to read closely and carefully and become familiar about bitcoins.I don't think it will be the last of new currencies and the more we know the better. I'd like to say each serves different purposes. If BitCoin becomes more mainstream, I'll use it for online needs like buying servers, paying in online shops, etc, but keep conventional money for daily use. So, mining went from CPU mining, to GPU mining, to FPGA and is heading down the road to ASIC. i once saw someone mention about a Raspi being used for mining. Because its got such a small energy draw to it. Do you think this would be cost effective/ possible? This article was posted today, but has $48 as the current price (as of writing)... you should probably have updated it to the actual price today, which is nearly double that, $89. Bitcoins are now worth over one billion dollars and 1 BTC ~ 90$. I feel a crash coming pretty soon and I can't wait to buy in when that happens.